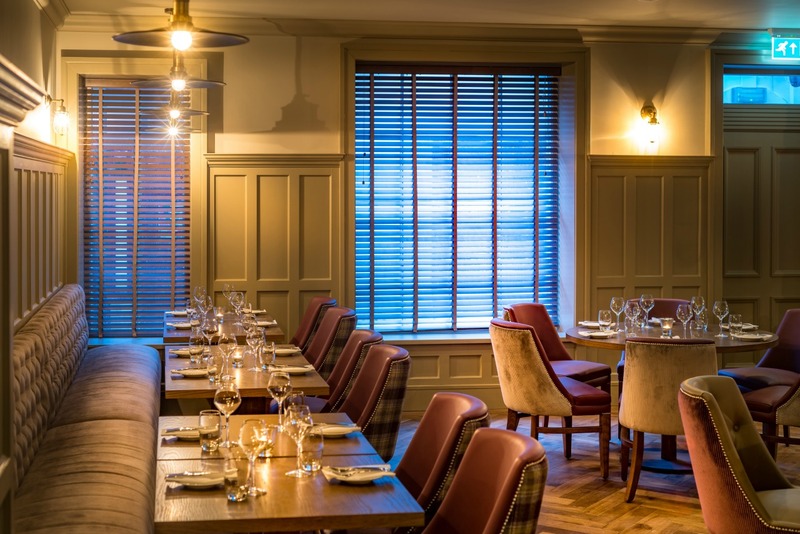 The AA Rosette Awarded Gown Restaurant opens for service from 17.00 and is a refreshing addition to the Derry restaurant scene. 7 London Street also serves evening meals from 17.00, this is used as an extension of The Gown Restaurant but can also be reserved for private use. 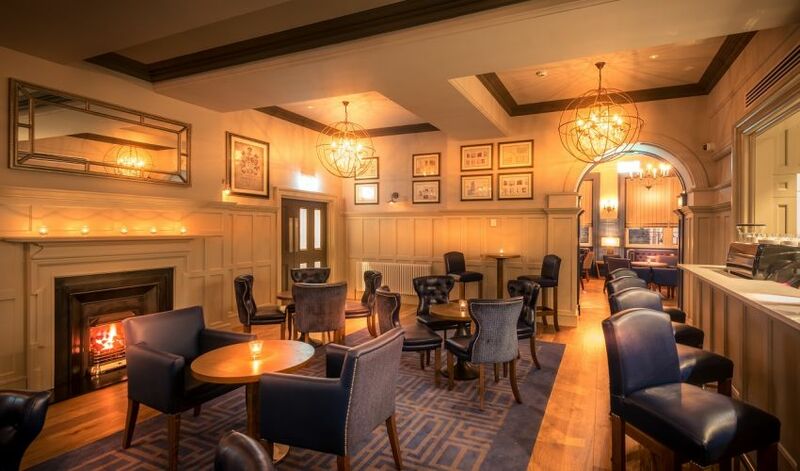 Fronting London Street, in the heart of the Cathedral Quarter, “The Gown” is the culinary focal point of Bishop’s Gate Hotel offering seasonally inspired menus of locally sourced ingredients, expertly prepared by the Executive Chef and his talented team. This vibrant eatery has several original features including the original wall panelling which has been superbly restored to create a charming dinner venue which oozes character and delivers a delightful ambience. Signature dishes include char grilled locally sourced steaks and fresh seafood from Greencastle Pier. As the menu is re-worked several times per year to incorporate seasonality and showcase fresh local produce, the flavours and themes are constantly fresh and exciting, promising a sensational dining experience on every occasion. Diners have the option of a-la-carte cuisine or a two or three-course set menu, ideal for pre and post theatre meals. Advance booking is highly recommended. Beautiful restaurant with a lovely menu. Food was very tasty but 2 people had the Greencastle fish. Unfortunately it was very greasy and made me feel a little queasy. The room was also very cold but other than that the service and the staff were first class. We had a wonderful meal and very much appreciated the help and attention we received from the host and service staff. We look forward to our next visit. love the whole dining experience in Bishops gate hotel.Great food, atmosphere friendly staff and beautiful decor. This was our first time to stay at the Bishops gate hotel. The food was fantastic .. we were welcomed  by a lovely member of staff called Michael.. everything was first class at this hotel we will be definitely be staying here again. The service & standard of food was fantastic. My husband commented that he had never tasted lamb that had been cooked to such a perfect standard ( and he does like his lamb) . An amazing dining experience, we could not recommend it highly enough. One of, if not the best restaurant in Derry. Great service which alot of the restaurants in Derry lack. Relaxed atmosphere . Good food and service. No negatives. The staff are fantastic, very friendly while being totally professional. We were made to feel extremely welcome and that nothing was too much trouble. The food was of the highest standards and the service was excellent. We were all really impressed by the whole experience. You made a special occasion feel even more special. Thank you all. Recently stayed here with my wife. We were made really welcome by all the staff. I would recommend this hotel to anyone thinking of booking either an overnight stay or even a meal. Excellent experience from start to finish. We will definitely be back!! Especially the weekend deals are fabulous value for money. The foodie break is definitely recommended. I booked a table for 12 people then closer to the date increased to 13 with no problem on such a busy day. The food was first class as were the staff, very attentive and helpful. We all had a great Mothers Day. Could not fault our dinner and overall experience at the Bishops Gate for my sisters 30th. Service from staff was brilliant, very attentitive, food was excellent and London street is just a fab private dining experience! We can not wait for my sisters wedding in Bishops Gate in the summer now but I have no doubt we will be back before then! We dined here before Tommy Tiernan on Thursday night and it was such a lovely experience the food was amazing! We were served by lovely staff all who were so friendly and more than helpful. There was a lovely girl who was serving us I’m not sure of her name but she was wearing different uniform to the rest of the staff more formal a blazer and skirt. I just wanted to mention that she made us feel so welcome and was more than helpful when we were ordering. To say she is good at her job is an under statement! Would definitely recommend the hotel to everyone and cannot wait to return. We had the pleasure of staying at the hotel and so took advantage of The Gown. The atmosphere is most welcoming, as are the staff, who without exception were friendly, helpful and professional. As within Derry itself, there was a “buzz” about the restaurant which really enhanced the dining experience. 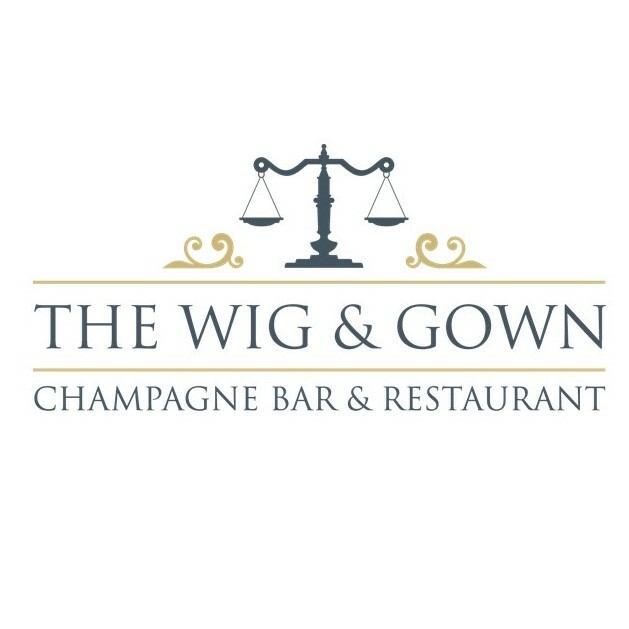 We will be visiting Derry again in the near future and look forward to another faultless meal at The Gown. Food was amazing, I am glad I picked this hotel for my upcoming wedding, my guests will be blown away. The women singing in the bar during our meal should have been asked to stop, they where customers and they're singing was awful and rather annoying and lowered the tone of the place.